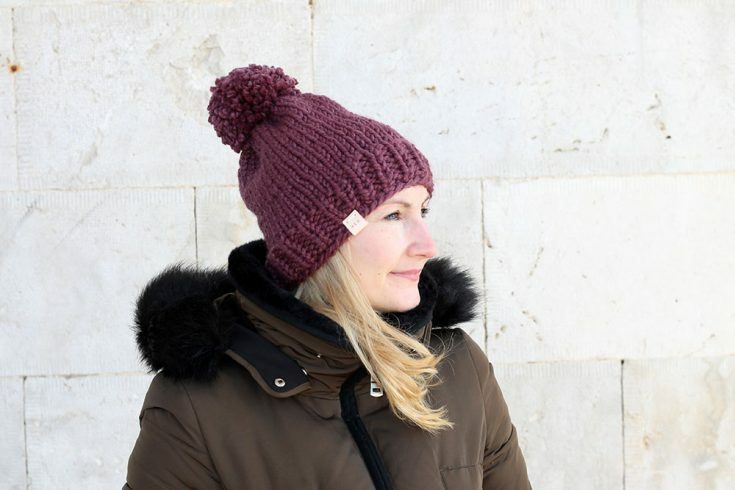 You won’t be scared to enter the bitterly cold weather in winter with this hat knitting pattern! Knit with Lion Brand wool ease thick and quick yarn in fig, this hat is so soft and cosy, it will be sure to protect you in the coldest climate! This hat pattern is great for beginners, as it is an easy level pattern, and the techniques you will need to know are knit purl, and K2tog, as well as knitting in the round, either on circular needles or on double pointed needles. 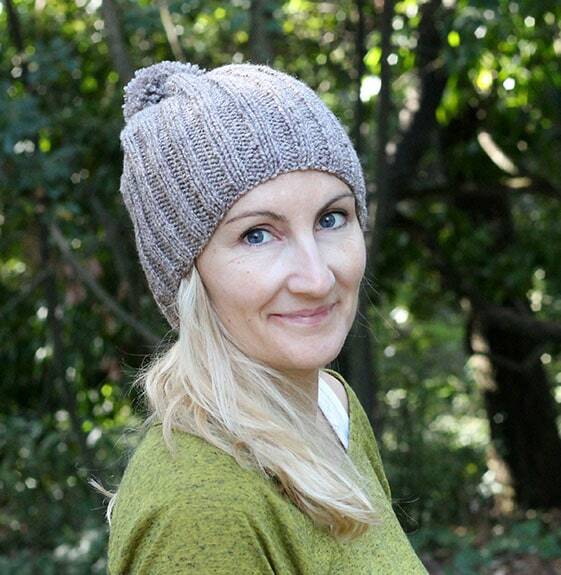 I knit this hat on 16″ circular needles, so there was no seaming involved, just a few loose ends to sew in at the end. The pattern is easy to follow, knitting in the round on circular needles, you could knit this hat on DPN’s if it is your preference. 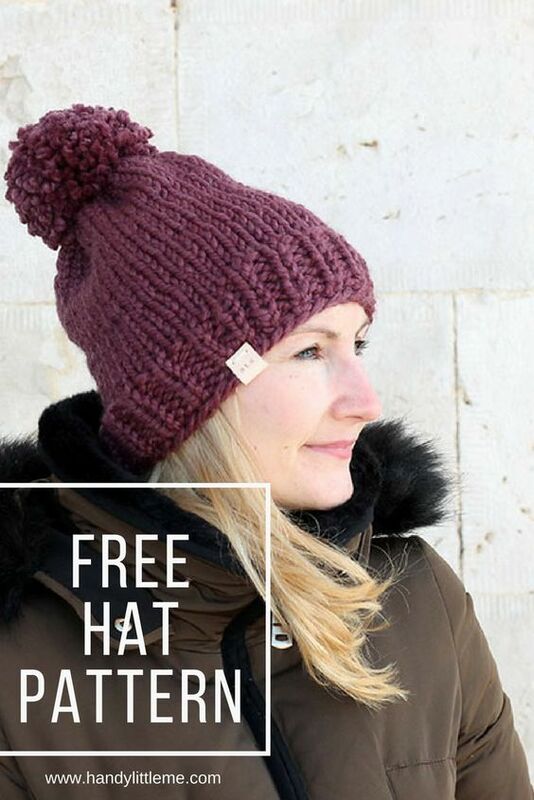 The hat uses basic knitting stitches – knit and purl, to knit ribbing and then for the main body of the hat. If you are a beginner it will also introduce you to shaping through simple decreases. 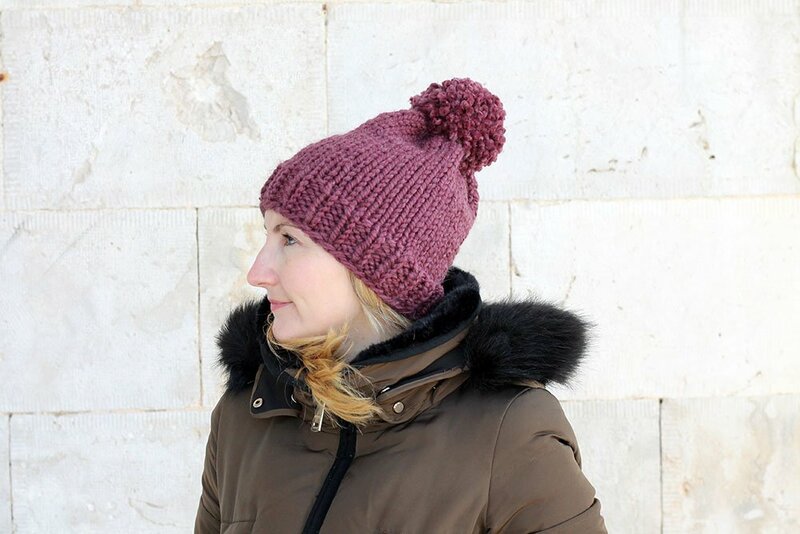 This easy hat knitting pattern is great for any beginners who are learning how to knit, as it is a great project for learning the basic knitting stitches. 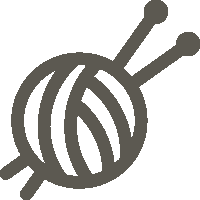 If you would like to make more knitted items for women, please take a look at the other patterns in the women’s knitting pattern library. For more hats please visit the hat knitting pattern library. You can scroll down to see the free pattern below or you may choose to purchase the printable ad-free PDF version from my shop. There is also a pattern bundle for sale featuring 24 of the women’s knitting patterns which is great value. Some articles on handylittleme.com may contain affiliate links. Click here to read my disclosure policy. 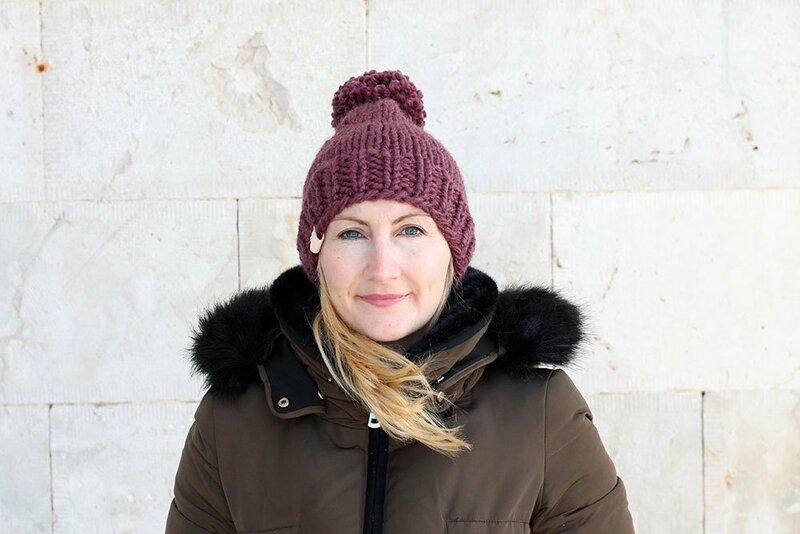 This hat knitting pattern is great for beginners, as it is an easy level pattern, and the techniques you will need to know are knit purl, and k2tog, as well as knitting in the round, either on circular needles or on double pointed needles. 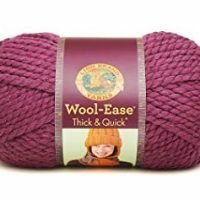 1 skein of super bulky yarn (LionBrand wool ease thick and quick in fig 146) suitable for size 10.00mm (US 15) needles. Super bulky weight – 106 yards. Complete another 5 rows of K1, P1 ribbing. Repeat row 7 (knit every row) until the work measures 8″ from the cast on edge. Break yarn. 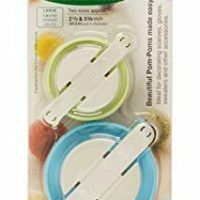 Draw end through rem sts and fasten securely. Sew in any loose ends. 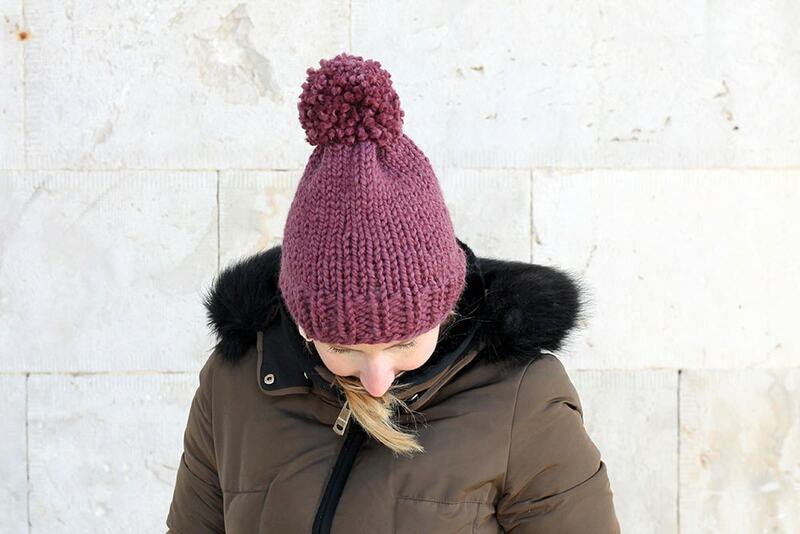 Make a pom pom and stitch it securely onto the top of the hat in a coordinating colour.